After a hefty teasing campaign, Volkswagen has finally introduced the three-row Atlas, the newest addition to the German marque’s growing crossover lineup. 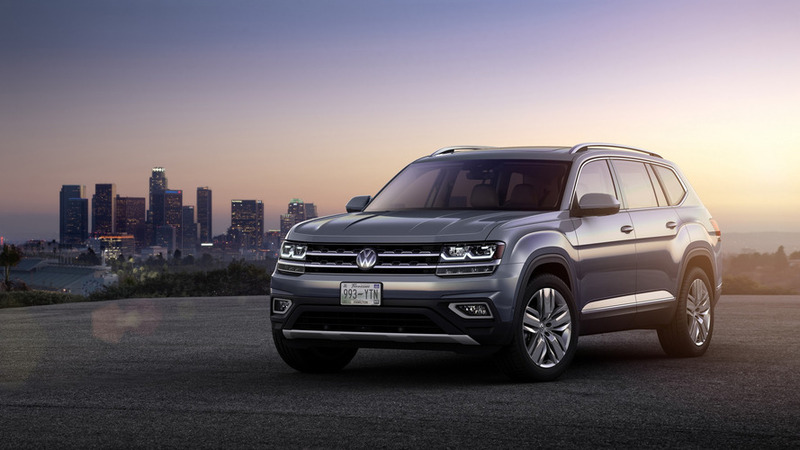 But unlike the Tiguan and Touareg, which are both produced in Mexico and Europe respectively, the Atlas is the first and largest CUV to come out of the company’s Chattanooga, Tennessee plant, alongside the new Passat. Measuring in at 198.3 inches long, 77.9 inches wide, and 69.6 inches high, the new Atlas is bigger than the aging Touareg (188.8/76.4/67.3), and even longer still than the new Honda Pilot (194.5/78.6/69.8). 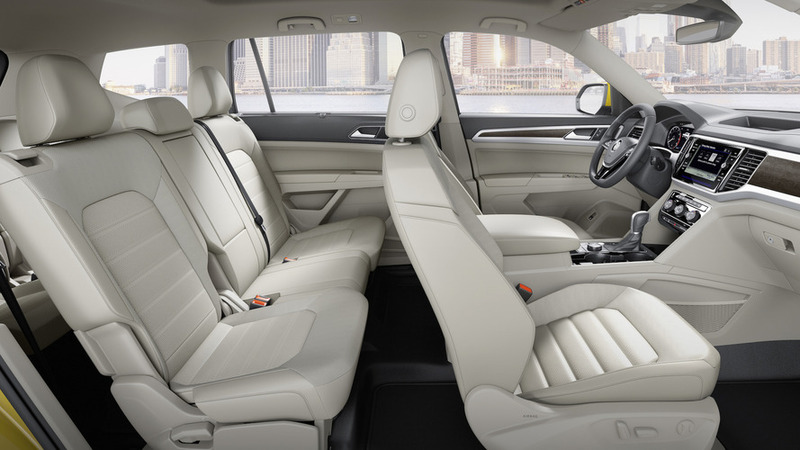 Naturally, all this added bigness translates to a more spacious interior. With room for seven adults and some luggage, the Atlas makes optimal use of all those exterior dimensions – though, Volkswagen hasn’t said yet exactly how much usable space is actually available in the cabin. An “innovative folding seat solution” being the highlight of this new interior, which allows easy access to the third row, even with a child’s seat in the second. Click here for the full 2018 Volkswagen Atlas official gallery. An available Volkswagen Car-Net system allows users access to a full suite of connected vehicles services. Tack on features like Apple CarPlay, Android Auto, and MirrorLink, and Atlas is ready for smartphone duty, not forgetting the Fender Premium Audio System that comes with 12 channels, a 480-watt amplifier, and 12 speakers. 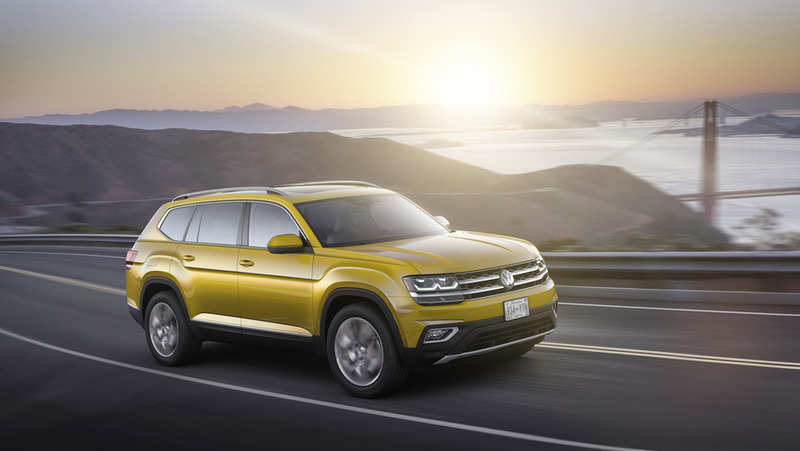 Riding on a revised version of Volkwagen’s signature MQB architecture, the new SUV utilizes a 2.0-liter turbocharged TSI engine with an output of 238 horsepower (177 kilowatts). Looking for something a bit more spritely? 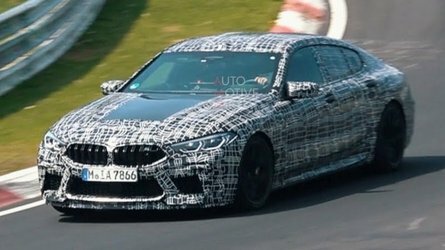 The now 11-year-old 3.6-liter VR6 engine remains an option, and produces 280 horsepower (208 kilowatts). Power for both engines is routed through a more efficient eight-speed automatic transmission, and is transferred to either the front wheels when equipped with the 2.0-liter TSI, or all four wheels, courtesy of Volkswagen's 4Motion all-wheel-drive system, when optioned with the 3.6-liter VR6. When equipped with the 4Motion all-wheel drive, the system allows for a number of different selectable driving modes for various road conditions. 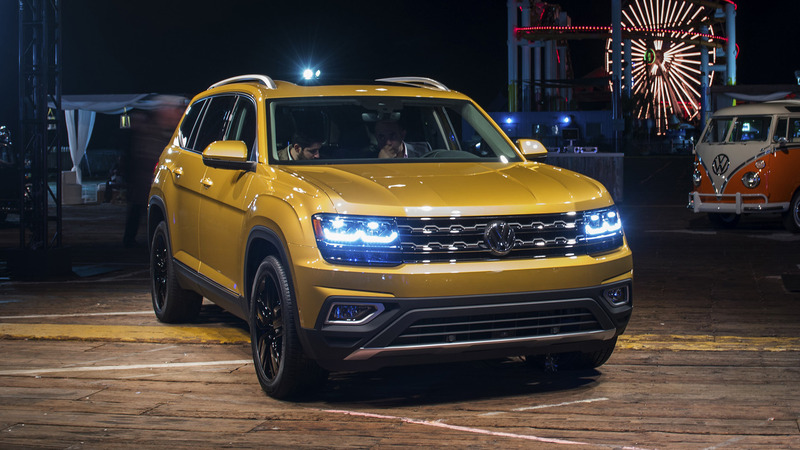 The 2018Volkswagen Atlas, unveiled tonight on the Santa Monica Pier at the end of historic Route 66, launches a new chapter in the company’s American history. 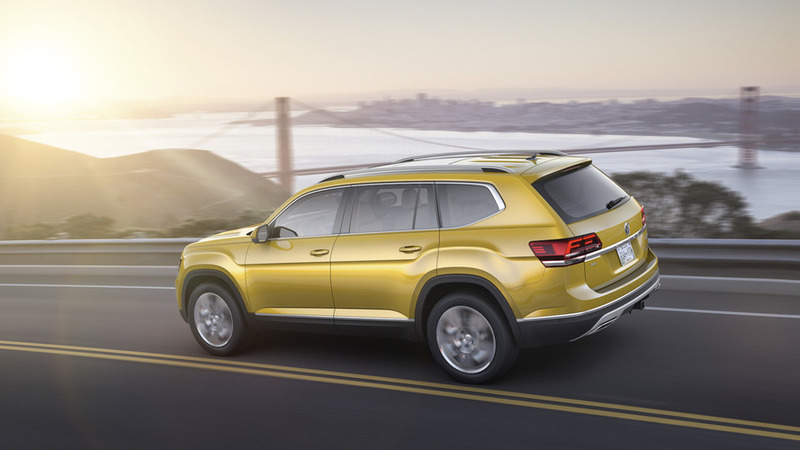 Built in Tennessee, the seven-passenger Atlas offers class competitive levels of technology and spaciousness combined with hallmark Volkswagen driving dynamics and attention to detail, all at a price designed to draw customers’ attention in the family SUV segment. Inside, the Atlas makes maximum use of its dimensions to offer space for seven adults and their luggage. The third row can be easily reached by an innovative folding seat solution, one that works even with child seats installed in the second row. Simple, driver-centric displays enhance the feeling behind the wheel rather than distracting from it; while the available Volkswagen Digital Cockpit allows drivers to reconfigure how they view vehicle information. The available Volkswagen Car-Net® system provides a full suite of connected vehicle services, including standard App-Connect technology that offers integration with the three major smartphone platforms—Apple CarPlayTM, Android AutoTM and MirrorLink®. The vehicle also features an available Fender® Premium Audio System that is the most sophisticated yet seen in a Volkswagen, with 12 channels, a 480-watt amplifier and 12 speakers. Also, theAtlas is the only vehicle in its class to offer the Automatic Post-Collision Braking System. 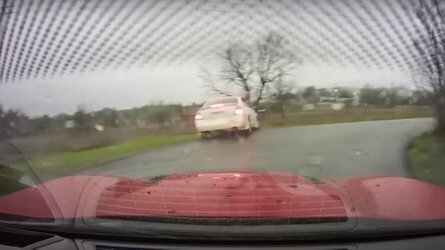 This builds on the premise that a collision is rarely a single, instantaneous action, but rather a series of events that follow the initial impact—the most significant of which can cause additional collisions. 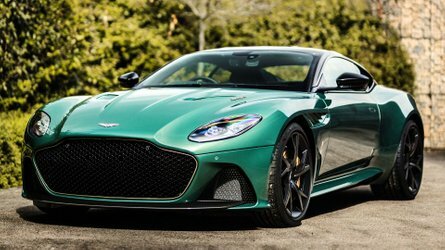 The Automatic Post-Collision Braking System addresses this by applying the brakes when a primary collision is detected by the airbag sensors, thus helping reduce residual kinetic energy and, in turn, the chance of additional damage. 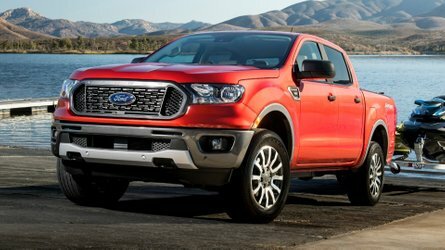 The Atlas arrives with a choice of two powertrains: the 2.0-liter turbocharged and direct-injection TSI® four cylinder with 238 horsepower or the available 3.6-liter VR6 engine with 280 horsepower. Either engine routes power through an eight-speed transmission to help maximize engine efficiency, and the Atlas can be configured either as front wheel-drive or with available 4Motion all-wheel-drive in VR6 trims. The 4Motion system has a Driving Mode Selection feature that allows the driver to select specific parameters based on driving conditions. EPA fuel economy estimates will be released ahead of the launch in the Spring of 2017. The Atlas is built alongside the Passat at the Volkswagen Chattanooga assembly plant, the result of an additional $900 million investment by Volkswagen in the facility. The Chattanooga plant is the only automotive manufacturing facility in the world to receive Platinum certification by the U.S. Green Building Council’s Leadership in Energy & Environmental Design (LEED) program.